Why are More People Moving to Essex? When it comes to relocating, Essex is a UK hotspot. The coastal region, which has fantastic transport links to the capital, has proved the number one popular place to live according to data from the Office of National Statistics. The district of Tendring, which includes seaside towns such as Clacton-on-Sea and Walton-on-Naze, has seen the biggest net inflow of any other place in the UK for a decade, reported the Daily Mail last year. The figures refer to 2005 and 2015, and show that for every 1,000 people that moved to the area, 773.8 people moved away. We know that Essex is a beautiful place to live, but what is attracting people to the region? People seem to be abandoning London and other larger cities or towns in favour of the Home Counties, in particular Essex. There are many factors involved (it doesn’t have anything to do with a certain reality TV show) but what does this mean for Essex residents? A lack of social housing and affordable homes in the capital, coupled with rising house prices and an uncertain housing market has had a huge impact on people leaving London. Even people who have lived and worked in London for their whole life are having to look at living elsewhere if they want to own their own home. Research from Lloyds Bank found that the value of properties in some areas of the capital have increased 648% over the past 20 years. The borough of Hackney has seen the steepest rises, with property values soaring by 702% between 1996 and 2016. With average earnings failing to keep up with the growth in house prices, it’s easy to see how the majority of people are priced out of London. Those looking to move to the capital’s surrounding counties include first time buyers and home owners who are looking to get more house for their money. Essex arguably offers better value for money than some of the other Home Counties, and its picturesque coastline and charming villages fuel its attraction. 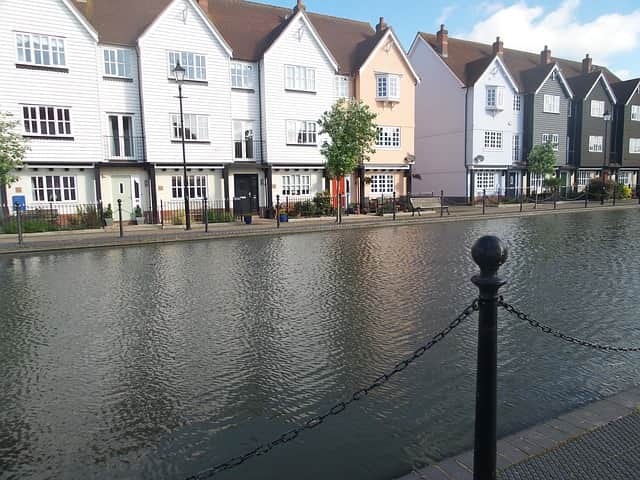 Chelmsford and Brentwood are conveniently close to the city and great for commuters, while those looking for a slower pace can look to buy in Southend-on-Sea or smaller villages such as Finchingfield. At the same time that people have been flocking to Essex, crime in the area has increased. These two happenings may or may not be connected – most experts attribute the rise in crime to cuts to policing. The statistics are worrying, but when it comes to burglary criminals will always target properties which appear to have a lot to steal, with minimal security features. If you’re planning on making a move in the future, be sure to do so safely with security in mind. If you need an Essex-based security provider, get in touch with our team today.